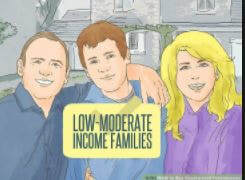 We hope we can help you, a family member or a friend that is one of 15,300,000 Americans who lost the American Dream of owning their own home from 2007-2018 and continuing on even though not reported in the MSM “#NONEWS” of course. The good news is there are “legal teams” like www.ACPSJ.com that can help them recover their American Dream of either regaining their home or the value of their home lost. No baloney. Click on to continue to learn more about this complex subject affecting so many Americans like maybe you not knowing the truth about massive mortgage ​fraud on 15,300,000 Americans who had their home stolen from their bank/servicer for FREE! SHAME ON OUR COURTS AND SYSTEM OF LAW for “JUSTUS” instead of Justice for all…. ACPSJ.org is a Private Membership Association that provides education and support to its members in many areas of law like foreclosure offense, foreclosure defense, quiet title, 3rd party debt collectors, bankruptcy, family law, personal injury, health care, identity theft and fraud primarily. For example - finding homeowners an honest and reasonable (cost wise) consumer advocate attorney to fight their case for true "Justice" not "JustUS" by by SOME** "mortgage fraud banks" trying to get a free home - that are simply not genuine a.k.a "pretender lenders". Or for a consumer dealing with a 3rd party debt collector that was not their original creditor - trying to make a fast buck after buying your balance owed for 10 cents or so on the dollar - where your balance was actually written off (and likely paid for by insurance) - hoping they can con you with fear to pay lots more when they have no real legal basis to harass and threaten you. Because you did not have a financial agreement or contract with them (they were not a party in your agreement/contract). ACPSJ PMA members come are from all walks of American life interested in protecting the American Dream of Owning Your Own Home fairly and squarely (no banking tricks or fraud) and for justice in matters financial. ACPSJ PMA members are regular Consumers, Landowners, Homeowners, Real Estate Investors, Legal Secretaries, Legal Researchers, Law Clerks, Paralegals, Securitization Expert Witnesses, Forensic Document Examiners, Chain of title Expert Witnesses, Chain of Custody of Note Expert Witnesses, CPA Expert Witnesses, IRS Expert Witnesses, Securities Expert Witnesses, Consumer Advocate Attorneys and Retired Judges. And now, maybe you (or yours) to help with your legal problem that you need education and help on? A membership in ACPSJ PMA is like joining COSTCO, Sam's Club, a private golf course and many other PMA’s where members get access to top quality products and services at reduced prices in finding their Consumer Advocate Attorney - focusing primarily on these areas of law: Foreclosure Offense, Foreclosure Defense, Quiet Title, 3rd party debt collectors, Bankruptcy, Family Law, Personal Injury, Health Care, Identity Theft and Fraud. 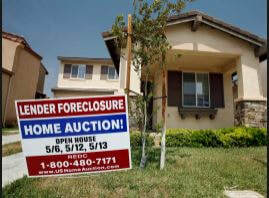 ** Not all banks are guilty of being involved with mortgage fraud. The smaller banks and most credit unions keep your loan and note (in their vault) and do not sell it to be securitized. Thereby you know exactly who owns your note, who to call for loan modification if needed and that when it is paid off you will get the "original" - not a copy or counterfeit -marked "PAID IN FULL". The way it used to be before selling the note/securitization and Mortgage Electronic Registration Systems (MERS) mortgage fraud started around 1995 or so. DISCLAIMER: The person/s named in the creation of this website are not attorney's and thus cannot render legal advice, draw any conclusions of law or guarantee any legal outcome. www.acpsj.com is not a law firm and thus cannot render legal advice, draw any conclusions of law or guarantee any legal outcome. If you need legal advice, please consult with an experienced attorney. We will have attorneys as members and for members do have a list of attorneys we highly recommend.